When Rupert Murdoch first bought The Times and Sunday Times, the deal was agreed under specific conditions designed to prevent editorial interference from the new owners. Now the Murdoch family, who own newspaper publisher News UK, are seeking to amend these conditions. This risks undermining the editorial independence and standards at both of these titles. SIGN AND SHARE our petition urging the Government to REJECT the Murdochs’ attempt to water down the locks on editorial independence agreed to when the newspapers were first bought. We have now sent our response to the Government's consultation on this application - click here to view. Names of signatories will not be published online, but we will continue to send names to the Government so please add your name below! The Times and Sunday Times are important newspapers. 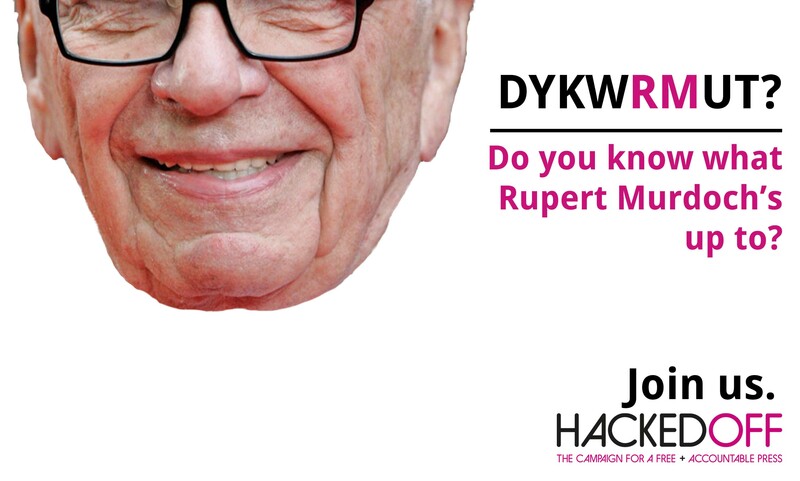 But under the ownership of the Murdochs the titles’ editorial independence has been repeatedly called into question, while the phone hacking scandal and resulting court cases at News of the World have exposed the Murdochs as having no proper regard for good corporate governance. This application would only serve to waterdown the 1981 conditions, by effectively weakening the protections put in place to keep the two newspapers distinct. It would also pave the way for a decline in standards and quality, with the two titles able to cut costs by rationing out services and resources between them. It is bad for the integrity of the two titles and it is bad for journalism. To protect the editorial integrity of The Times and The Sunday Times, we the undersigned call on the Government to reject this bid to amend the Conditions agreed in 1981. I want to sign the petition and understand that my name will be shared with the Department for Culture, Media and Sport as a signatory. I would like to receive follow-up emails about keeping up the fight for a fair, accountable press. I want to sign the petition and understand that my name will be shared with the Department for Culture, Media and Sport as a signatory. I do NOT want to receive follow-up emails from the Hacked Off campaign. View our response to the Government's consultation on this application here . Names of signatories will not be published online, but we will continue to send names to the Government so please add your name to the petition today!